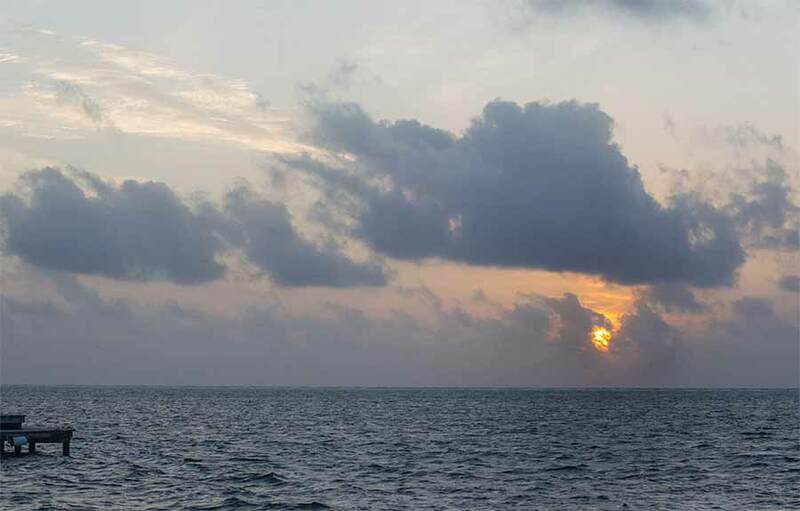 Belize NMS: Seasonably warm and mostly dry conditions will prevail. 24-hour forecast: Mostly sunny today and partly cloudy tonight. Little or no rainfalll is expected, except for isolated showers or isolated thunderstorms inland or in the south this afternoon and in the south tonight. Today: Winds: East 10-20 kt with higher gusts; seas: Choppy - moderate; waves: 3-5 ft; little or no rainfall. Tomorrow: Winds: E-SE 10-20 kt; seas: Choppy - moderate; waves: 3-5 ft; little or no rain. 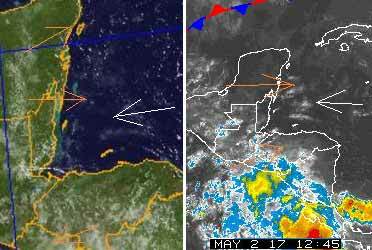 Marine Outlook: Wednesday night:- Winds: E-SE 10-20 kt; seas: Choppy - moderate; waves: 3-5 ft; only isolated showers mainly south. General Outlook: For Wednesday and Wednesday night is for continuing warm weather with the chance of an isolated afternoon thunderstorm inland. On Ambergris Caye this morning the wind is from the SE at 9 mph. 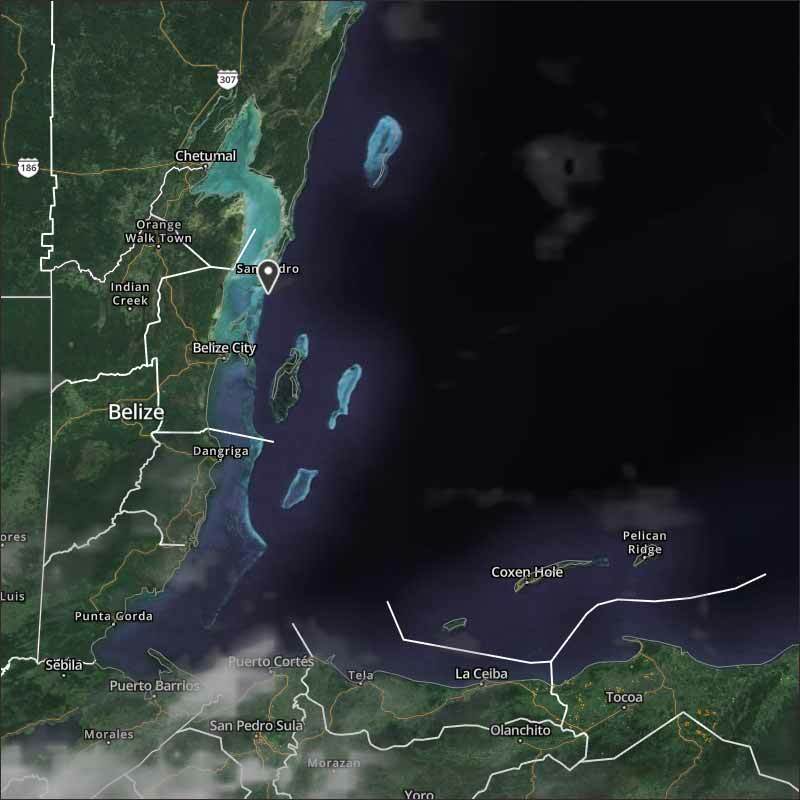 It's a sunny day with an expected high of 90 f.
Last nights ITCZ activity caused some rain in southern Toledo, but most of it was in Guatamala and went away from Belize. That activity is now calming down, and the cold front dissipating away. Looks like today will be a sunny day with significant clouds, but no rain. There could be some activity tonight.